This unique event will present all travel opportunities and packages from reputed travel companies in Kuwait under one umbrella. 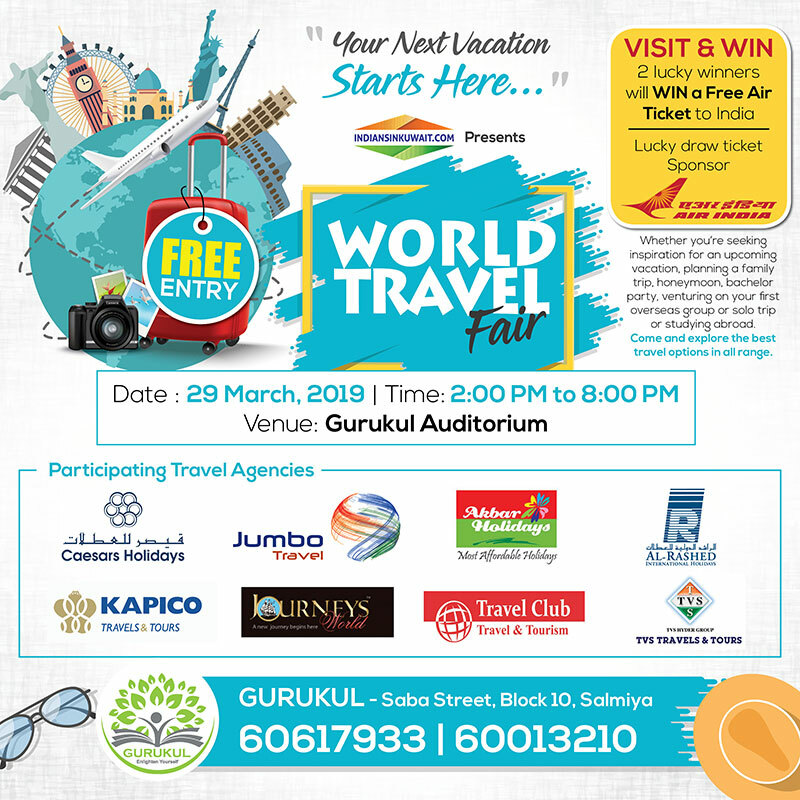 Whether you're seeking inspiration for an upcoming vacation, planning a Family trip, Honeymoon, Bachelor party, Venturing on your first overseas group or Solo trip, visiting this World Travel Fair will give a unique opportunity to explore various packages specially designed for your need. Participating travel agencies are - Ceasars Holidays, Jumbo Travel, Al- Rashed International Holidays, Travel Club, Kapico Travels & Tours, Journeys World, Akbar Holidays and TVS Travels & Tours. In addition to get an exciting deal for your favorite holiday destination, two lucky visitors to the fair will get a chance to win a Free Air Ticket to India, sponsored by Air India. Please arrange this kind of event in Ahamadi Governate.